Nave Newell offers current civil engineering, land planning, surveying, and landscape architecture students the opportunity to gain hands-on experience in land development. We have both summer internship and co-op opportunities throughout the school year. Want to be creative and challenged? You won't be making coffee and copies. From day one, you will quickly be immersed into our culture and projects. You will gain real-life experience and interact with everyone from the company president, to managers and recent graduates, all in a collaborative learning environment. We want our students to walk away with an experience that guides their future. We’re excited to share our culture with you and to help you discover the right career path. Many of our co-ops and interns have even returned to become full-time employees at Nave Newell. If you want a challenge where you make a difference, create meaningful, personal relationships and most importantly keep things fun, forward your cover letter and resume to careers@navenewell.net. One day can make a big difference! That’s why we offer a job shadow opportunity to both high school and college students. This one-day experience offers a glimpse into the day-to-day activities of our business and the field of land development. To schedule a date and time, submit a request to careers@navenewell.net. 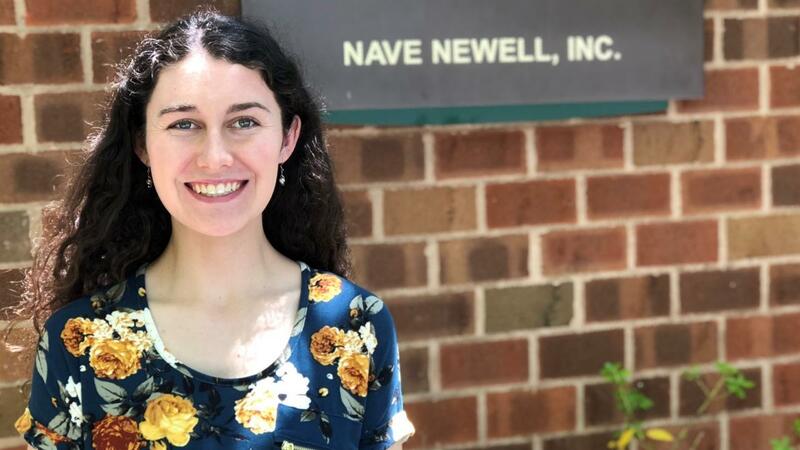 May Hennessy (CE) spent her summer as an intern with Nave Newell, an engineering firm based in Wayne, PA—not terribly far from her hometown of Drexel Hill. And so far, her experience is keeping her on her toes.